The Short Version: The Italians were masters of replicating popular movies well past the brink of copyright infringement; and they weren't hesitant to pirate their own pictures, either. One of the most blatant rip-offs of all time is this shamelessly verbatim THEY CALL ME TRINITY clone from genre specialist Ferdinando Baldi. All the famous Spencer/Hill routines are trotted out--from the balsa wood breaking, bare-knuckle brawls to the fast draw gun slap gag; some new, cartoonish ones are added to the mix as well. The resemblance to the actors--and the film--is uncanny. If only the original films magic was so easily copied. 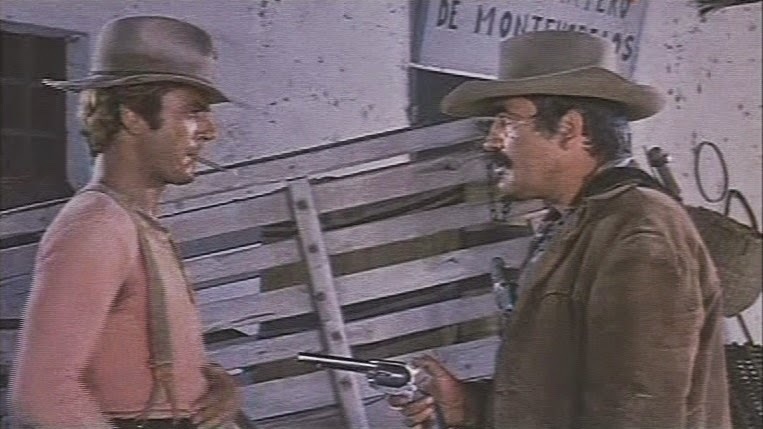 After being arrested by Captain Johnson for possession of an illegal pistol, Coby, a billiards specialist and hustler, is hired, along with his burly, quick-tempered conman friend Len to capture gun runners at the US-Mexico border. Of particular interest to the traffickers is a new 50 caliber handgun worth a million dollars; and one that only the US army is supposed to have. To ensure Coby and Len follow through on the job, the two swindlers are set up with a price on their heads. Italy cannibalizes its own with this Euro assimilation of the worldwide box office sensation THEY CALL ME TRINITY (1970) from DP turned director Enzo Barboni. 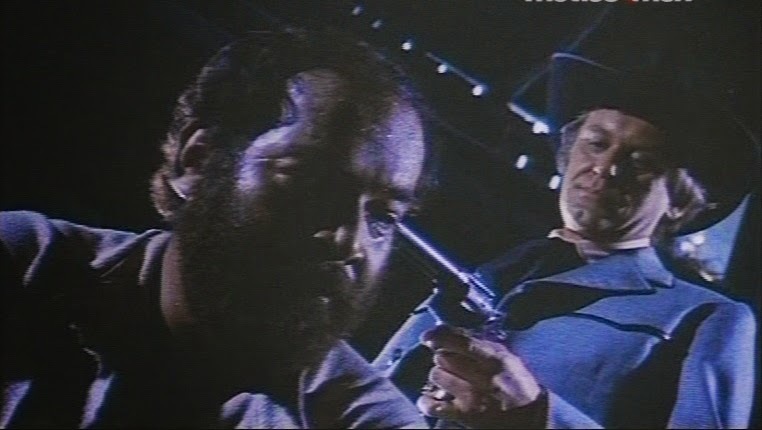 American Paul Smith was teamed up with Italian Antonio Cantafora (often billed as Michael Coby) as the Trinity styled duo of Len and Coby. 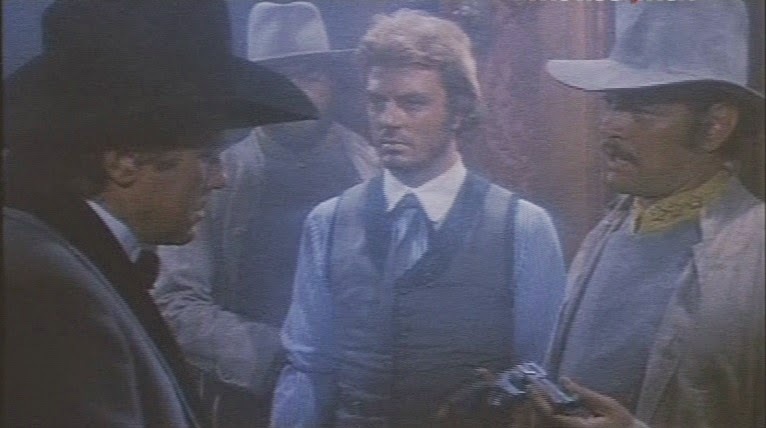 The facial likeness to the two famous Italian western stars was remarkable; even down to the clothes they wore. Naturally, this sort of flagrant cloning would never fly in America. Imagine a series of DIRTY LARRY movies! 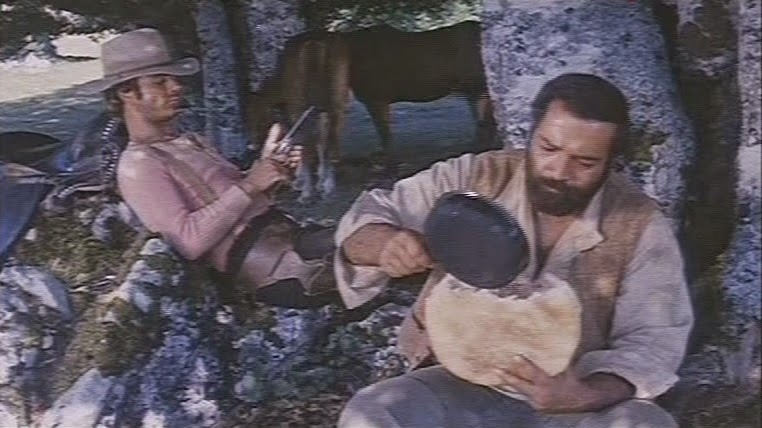 The Italians had gleefully hopped on the bandwagon for their own variations of Leone's films with Eastwood, but this TRINITY copy was a total forgery up one side and down the other. Ferdinando Baldi isn't among the top tier of western directors, but he does have some works that stand alongside the best the genre had to offer. Virtually all of his westerns are different in some way; which makes the note-for-note recreation of a worldwide smash all the more peculiar. The only thing CARAMBOLA doesn't totally duplicate is the polish Barboni and his crew applied to his two TRINITY pictures. Baldi's counterfeit oater isn't without some entertainment value, though. CARAMBOLA gets things off to a fine start during an outrageous pool hustling sequence wherein Coby shows off Bugs Bunny-like pool sharking skills with tricks that defy the laws of physics. This sequence, encompassing the opening ten minutes, is probably the creative zenith of CARAMBOLA; after this it shamelessly dovetails into the TRINITY schtick, even finding room to "homage" the TRINITYesque MY NAME IS NOBODY (1973) from Tonino Valerii. 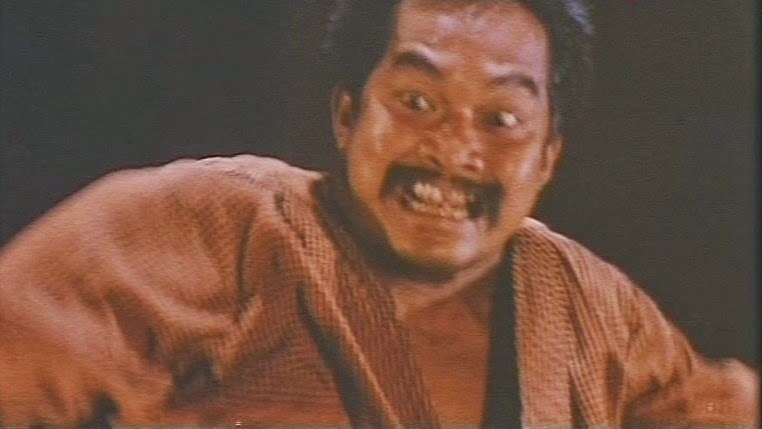 Kung Fu films were wildly popular at that time, and Baldi's hijacking of Barboni's classic characters manages to lampoon those movies, too, when it's not parodying the parody. 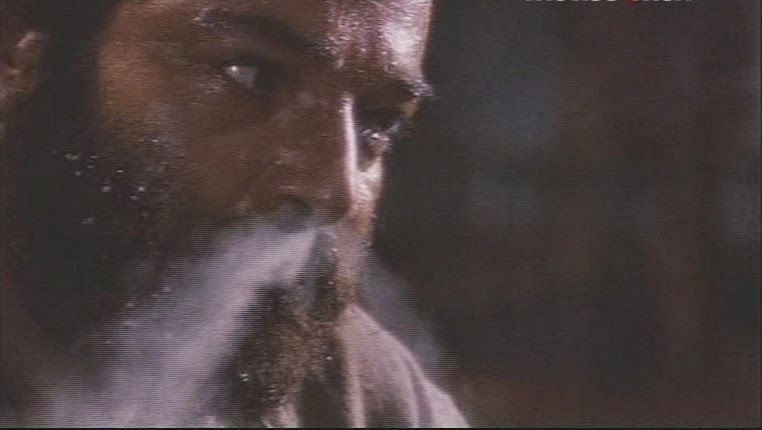 Unfortunately, for all his familiarity with Terence Hill, Cantafora fails to imitate his athleticism and charisma. 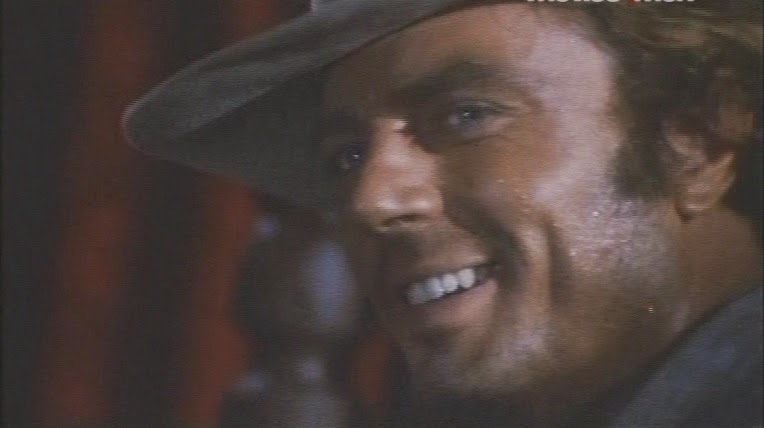 He jumps around a bit, but nothing as fluid as the lithe Hill (alias Mario Girotti). 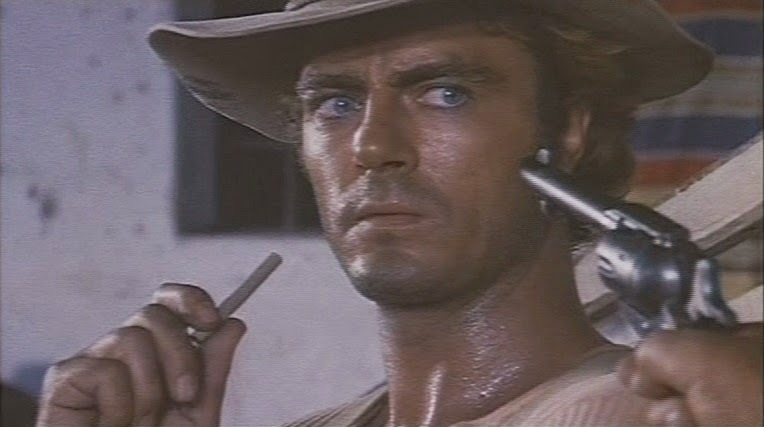 He does manage to faithfully rip-off the famous gun draw-face slapping joke of TRINITY IS STILL MY NAME (1971). It's funnier when Hill did it, but Cantafora succeeds in at least reminding you why those original films were so damn memorable in the first place. 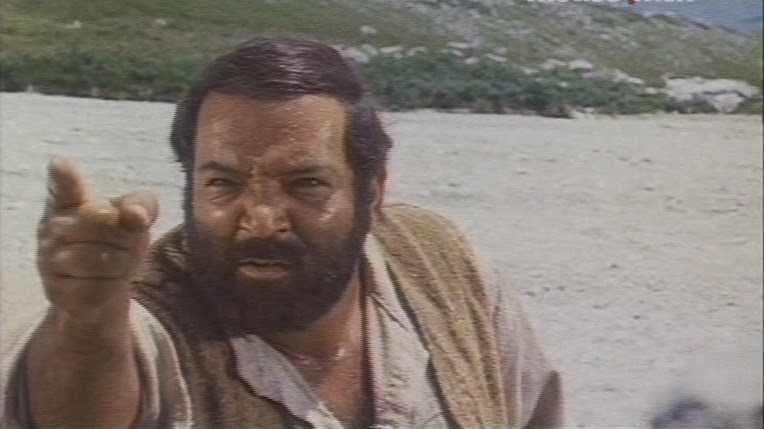 From there we're introduced to Len doing about as good a Bud Spencer impression as you could ask for. Smith does most of the clobberin' in that typically repetitive, frequently unimaginative Italian style that kept the balsa wood industry busy during this period of the genre. 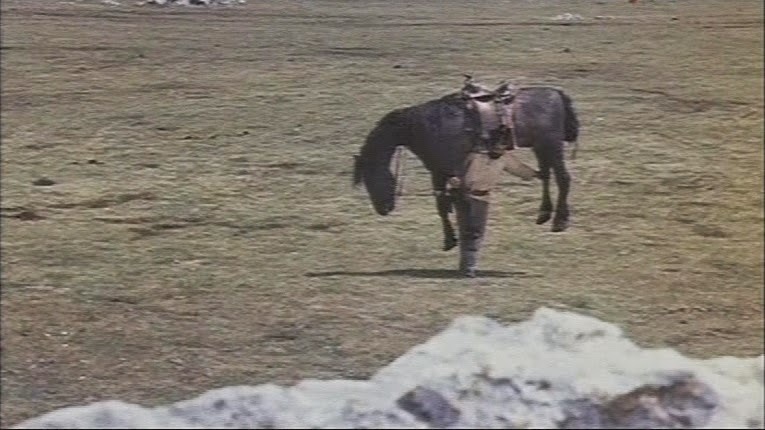 One of his best scenes is where he carries his noticeably tired horse on his back! Another is where he pits his Herculean skill against an Oriental martial arts master and his Anglo students in a bit of kung spoofery. 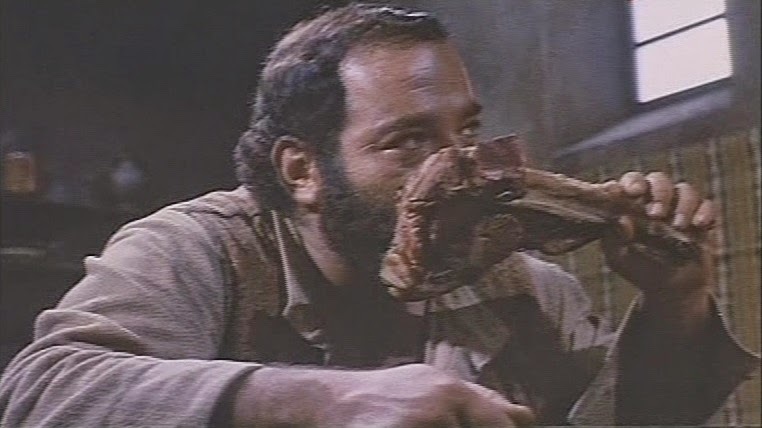 Smith would later find fame as Bluto in the live-action version of POPEYE (1980), a potentially homicidal gardener with a fondness for chainsaws in PIECES (1981), and as one of Baron Harkonnen's nephews in DUNE (1984). Other than the flagrant likeness to Barboni's superior original work, there's not a lot more to say about this movie. It's entertaining enough, even if interest is sustained mainly out of curiosity for the brazen lack of originality. 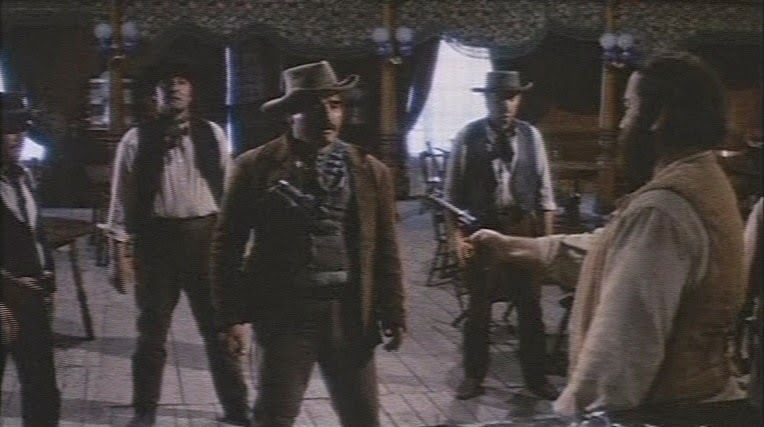 Ferdinando Baldi's western output has been wildly erratic, yet he's managed to helm some truly memorable, diverse pictures in the genre. 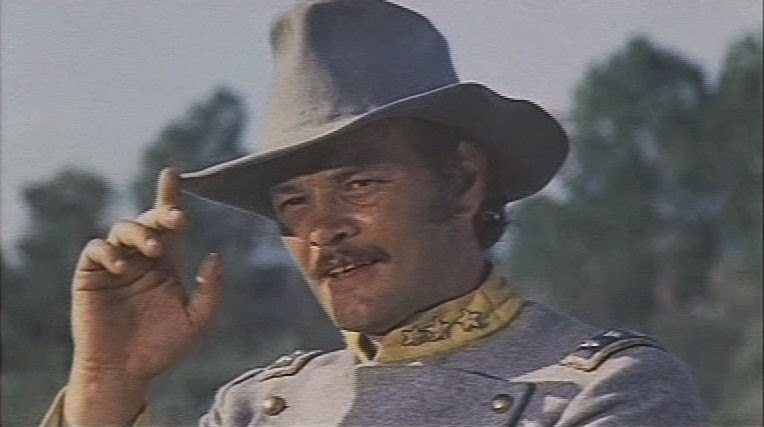 TEXAS, ADIOS (1966), THE FORGOTTEN PISTOLERO (1969) and BLINDMAN (1971) are his best, most consistent works. His worst was the musical LITTLE RITA OF THE WEST (1967) and the Tony Anthony kitchen sink westerns, GET MEAN (1975) and COMIN' AT YA! (1981). Along with CARAMBOLA, HATE THY NEIGHBOR (1968) is just average. Regarding the films title, Carambola means 'cannon' in Spanish; which presumably refers to the 50 caliber handgun that's worth its weight in gold to the bad guys. The obscure sequel, also directed by Baldi, CARAMBOLA FILOTTO... TUTTI IN BUCA (1975), translates to Carambola's Philosophy... In the Right Pocket; it has the duo of Smith and Coby in possession of a motorcar with a gatling gun mount. Obviously audiences couldn't get enough TRINITY style antics even if the carbon copy shenanigans were TRINITY-lite. The duo of Smith and Coby returned a number of times in a string of silly movies; those being the aforementioned CARAMBOLA'S PHILOSOPHY... 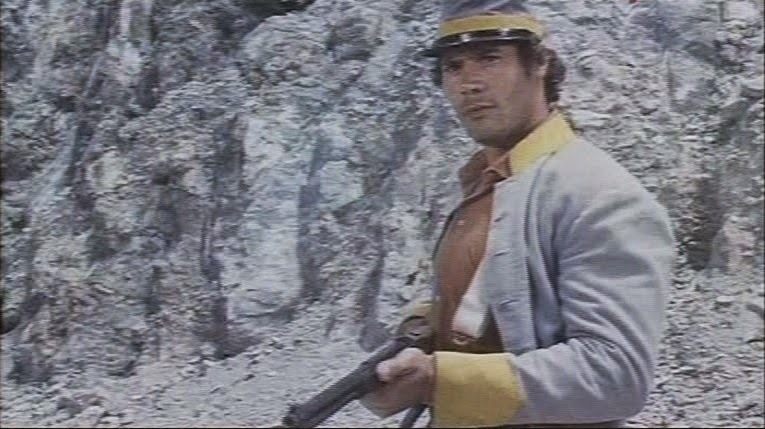 IN THE RIGHT POCKET (1975), WE ARE NO ANGELS (for Gianfranco Parolini;1975), CONVOY BUDDIES (for Giuliano Carnimeo;1975), and THE DIAMOND PEDDLERS (again for Giuliano Carnimeo;1976). CONVOY BUDDIES is of special interest. Filmed in 1975 as SIMONE E MATTEO: UN GIOCO DA RAGAZZI (SIMONE & MATTEO: CHILD'S PLAY), Edward L. Montoro of Film Ventures International bought distribution rights from PAC (Producioni Atlas Cinematografica) and proceeded to do a little cloning of his own. Sam Peckinpah's CONVOY (1978) had been shooting in '77 and apparently Montoro wanted to cash-in before that picture hit screens across the country. Since the Smith/Coby team was a clone of Spencer/Hill, Montoro ripped off the rip-off by mauling Paul Smith's and Michael Coby's names; changing them to Terrence Hall and Bob Spencer! In 1978, Paul Smith sued FVI for "reverse palming off"--removing his name and replacing it with another. Smith claimed the credit substitute damaged his reputation and acting prospects. The case was dismissed but remanded at least once, finally decided in 1981, although the eventual outcome is unknown. 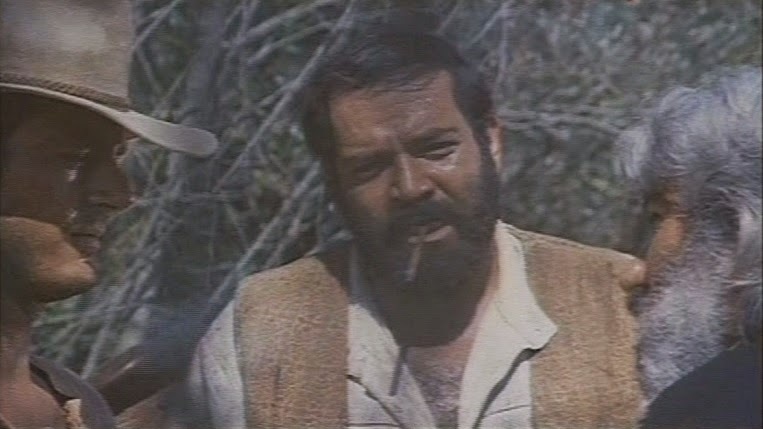 It's a bit ironic that Paul Smith would co-star in a set of films banking off his likeness to Bud Spencer while becoming incensed that he was then marketed in America as a Bud Spencer clone! For all its apeing of better material, CARAMBOLA is undeniably preferable to at least a few hundred instances of wasted celluloid of the genres 600+ productions. The score consists mostly of a loop of 'You Can Fly', a bubblegum pop song by some group named Dream Bags(?!). It's a very catchy tune, and acts as a built-in drinking game--every time you hear the song, you take a drink. It pops up whenever a fight breaks out, which is every few minutes--so have them shot glasses ready. If you've seen the two TRINITY's, this one is worth tracking down; otherwise skip it. 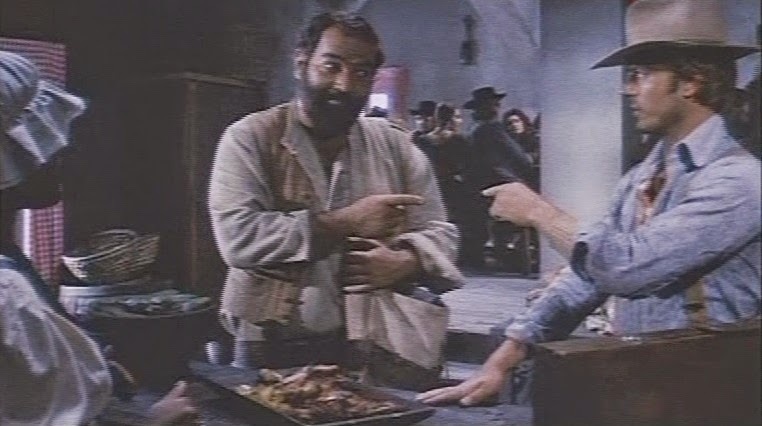 The Italian western version of New Coke, Ferdinando Baldi's copycat tumbleweed tale will just make you want the real thing instead. The source of this review (dubbed in English) is from a cable airing.